Opening: Thursday September 12 from 6-8 pm. 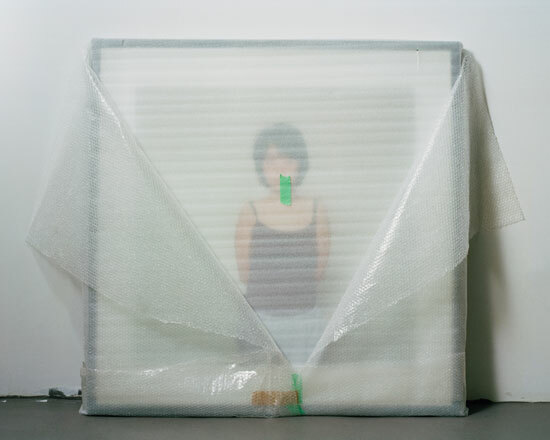 Gallery Hop, Canadian Art contributor Sam Cotter will talk about Chih-Chien Wang’s exhibition at 65 George Street, 2pm. 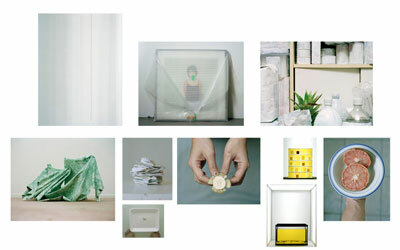 Chih-Chien Wang’s practice involves the presentation of found objects and the process of collecting or recreating them. This process builds up his understanding of the living space and the cultural diversity of the city. These concerns resemble his understanding of people, reflect the place where he lives in, and reveal his doubt about the self. Photography, video and installation constantly serve as the main tools for Wang’s creation. With these media, he is able to preserve the fresh impression of specific moments while enjoying the capability to recreate scenery generated from collected experiences. Photography, video and installation continue to offer him great diversity in examining content and challenging the presentation of concepts. This series of images are to be presented together in the same space to form a visual dialogue among different gestures, body parts, objects and processes. The images came from various projects ranging from 2004 to 2011, and each project had its specific theme and process. However, these selected images share the common interest, which I have been exploring throughout my practice. It’s about the existence of the body, the interaction with the surroundings, and the actions to examine such existence and interaction. In details, the actions include: applying color in a given physical space to distinguish the subject from its surroundings, using thread to interact with the space and the body, hardening cloth to form interior landscape, piling objects, cutting, collecting and offering objects, and packaging the body. These actions transform objects, interior scenery and the body, and then they were recorded and presented in the form of photography. It is worth mentioning that this series of images are chosen to form a set of installation. The installation as the work opens up the association of the images in terms of the content and the form, it turns the series into a unique and complete unity, and it also reflects my approach to the visual language. I shook the box every time I arrived at the studio. I shook it to see if they were still tightly holding to each other, how much particles would fall from them, and with which posture they would posses that day. The box was an enclosed space, and the two items had a connection within the space since escaping from the box was not an option. Even though the flower was picked by Shaore, my 3-year-old son at the time, and the branch was given to us by a neighbor who saw Shaore holding the flower that afternoon, the accidental encounter was only the beginning of a little story which probably wouldn’t matter to anyone. During the two or three months period before they dried out, I photographed them each week. The only thing I could say was that even though the space was tiny, they still developed possibilities. Judging by the way they hold each other you might notice that they have been dancing forever. Born in Taiwan, Chih-Chien Wang lives and works in Montréal. He obtained a BFA in Theatre and Cinema from the Chinese Culture University in Taipei in 1994, and worked for several television companies producing documentaries before moving to Canada in 2002. Wang obtained a MFA in Studio Arts from Concordia University in 2006. He has exhibited in Canadian and International museums and artist-run centres, including the Montreal Museum of Fine Arts (solo, 2013), Optica, Dazibao, the Musée d’art contemporain de Montréal (for the Québec Triennial in 2008), the 5th edition of Orange in Ste-Hyacinthe, at Gallery 44 and Nuit Blanche in Toronto, and at Zenith Gallery in Beijing. His works figure prominently in several public collections including the National Gallery of Canada, Musée de l’Elysée in Lausanne, Musée national des beaux-arts du Québec, Musée d’art contemporain de Montréal, Montreal Museum of Fine Arts – and in corporate and private collections such as Hydro Quebec, Royal Bank of Canada, TD Bank Group, Desjardins, and Caisse de dépôt et placement.